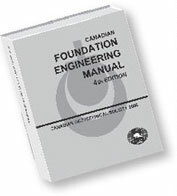 The 4th Edition was released in English in 2006 and in French (as Manuel canadien d'ingÃƒÂ©nierie des fondations) in 2013. The 4th Edition, in both English and French can be purchased through BiTech Publishers Ltd. CGS members receive preferred pricing. This region consists of one group based in Calgary, but services other surrounding municipalities and those in southern Alberta. The Calgary Geotechnical Society hosts monthly technical lectures from September through to June. Please go to www.cgygeosociety.org to see all local event details. Please contact the Calgary Geotechnical Society at Calgary@cgs.ca if you have any comments or suggestions.